Community Administration has never been easier with our powerful Admin Control Panel system. You have full control over your community with hundreds of settings to choose from. You don’t need to have much technical background to use the phpFox software. 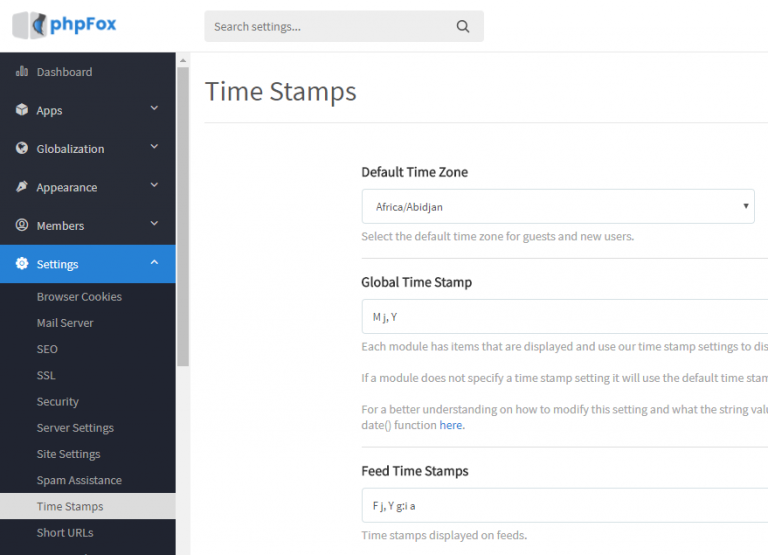 Most of the settings and configurations are already self-explained and there are lots of tutorials available in our platform documentation system. We give you full control to change the entire look of your site from the HTML layout to the CSS styling and all of this can be done from the comfort of the Admin Control Panel without having to worry about losing your work. You can switch to another theme easily by using one existing theme on your site or buy a new one. When using a feature on the site, it is usually tied into a user group, which in return gives you the control with what each user group can do; from things like uploading an image or writing a blog to viewing a secret group direct from the Admin Control Panel. 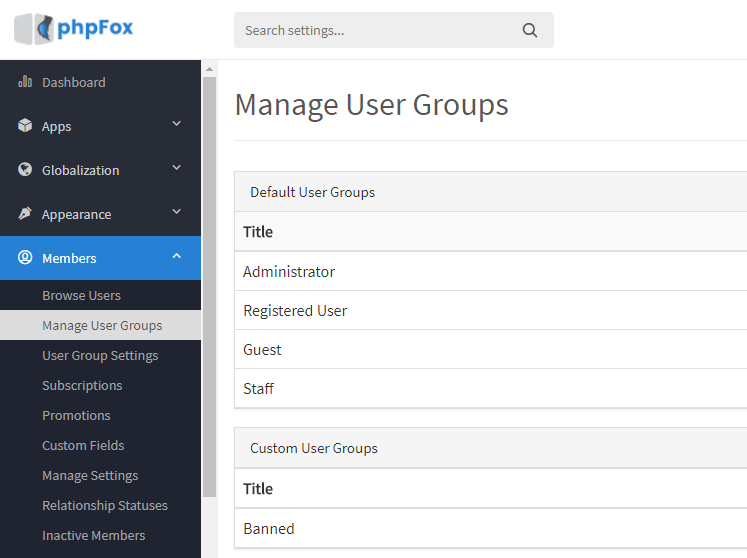 You can also create as many custom user groups as you want. 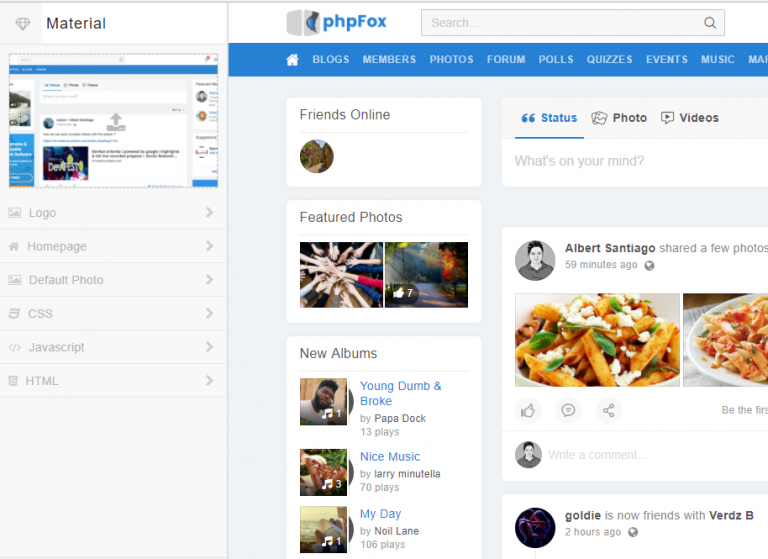 With phpFox, you have full control on all blocks so that you can design all pages as your desire. In each page, as User Profile Page or Home Page, you can easily activate/inactivate some blocks to let your users focus on the content you want to highlight. 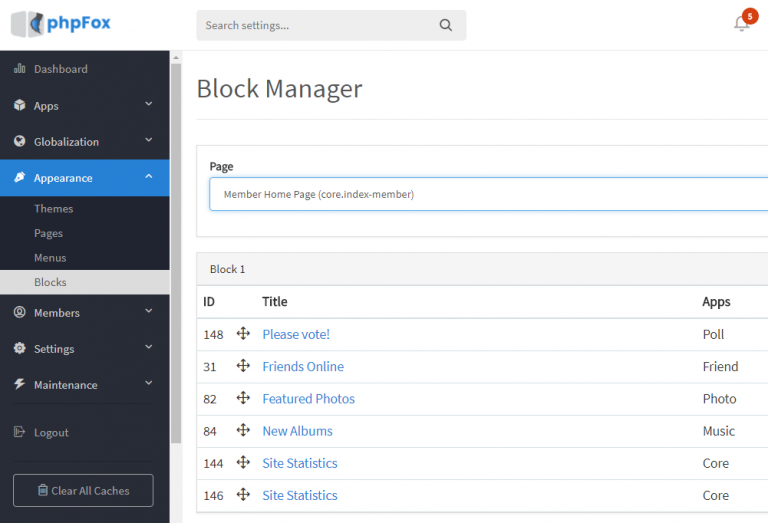 We provide you the easy method of creating a block directly from your Admin Control Panel. 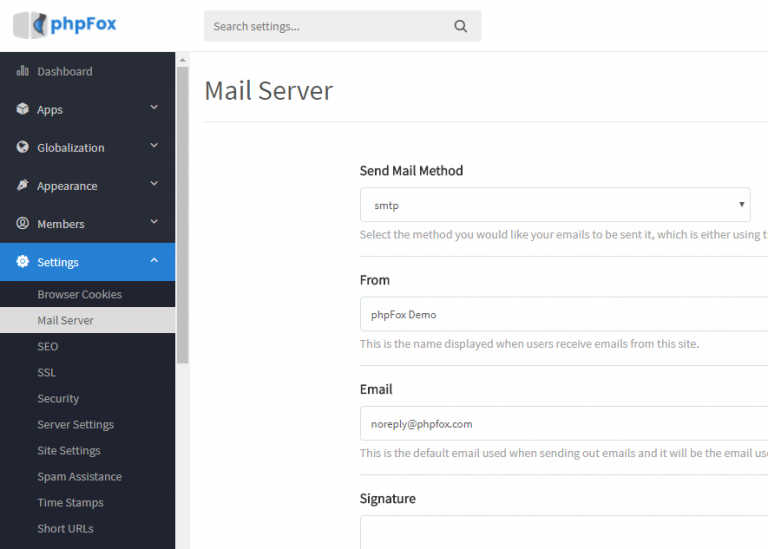 In order to fetch and send mails from your website, you need to configure the Mail Server Settings. It will allow you to send the system emails on your website through a certain email account and ensure their successful delivery. We also recommend using Sendgrid, Sparkpost or some other transactional mail services for your site emails. We group all the important privacy and account settings in a convenient location so your users can easily control these settings. 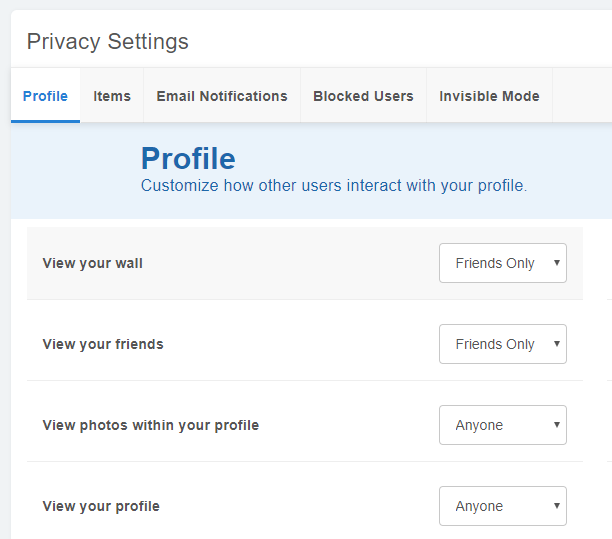 The Account Privacy section includes many settings for your users to control how others interact with them via their profile. Your users can even prevent the messages send to them from other users on your website. Two-step verification to protect your account from hijacking by adding another layer of security. With 2-step verification signing in will require a code generated by the Google Authenticator app in addition to your account password. Besides, phpFox also has SMS Verification and the Google reCAPTCHA app which are a great ways to help control spam. 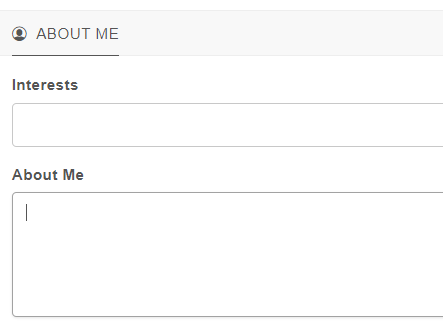 Your social network couldn’t be unique without the ability to control and create custom fields and we give you this ability direct from the Admin Control Panel. 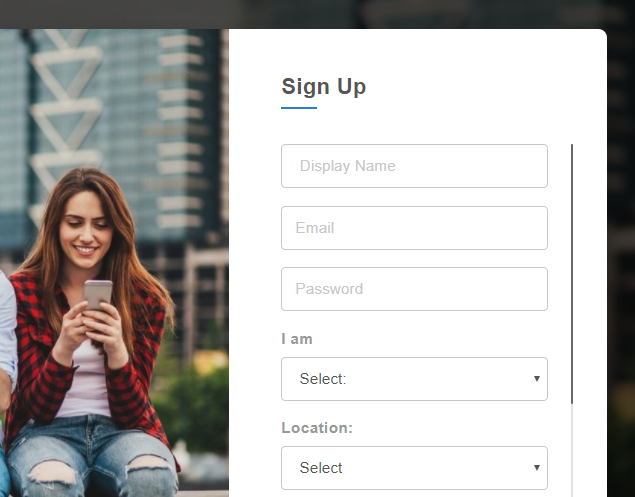 To enrich your users’ information according to your website, we provide the custom fields system where you have fully control what custom fields will be added for users in the registration form and in their profile. Being a site owner you should have seen servers fail, misconfiguration and loss of data on more than one occasion, haven’t you? 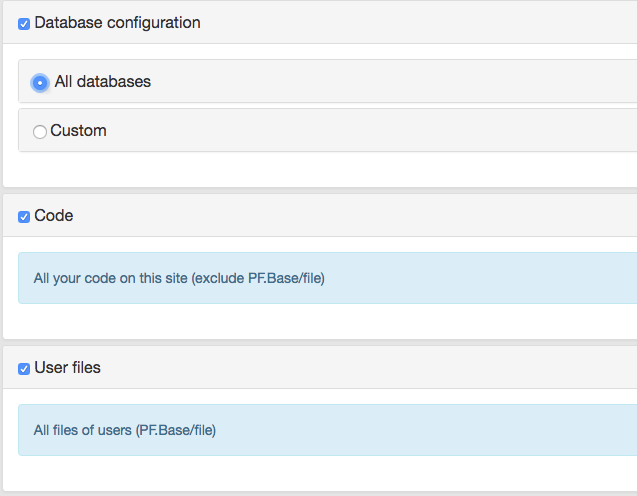 Backup your phpFox site fully, create as many backups as you need, choose the files to be backed up and distribute to other servers. Then restoring a phpFox site from backup if anything goes wrong. Everything is quite simple with Backup and Restore application.